Expert marijuana attorney Michael Chernis, one of California’s foremost experts on federal and state laws affecting the legal cannabis industry joins Enterprise Radio. Michael is Founder of Chernis Law Group P.C. and co-founder and policy director of the Los Angeles Cannabis Task Force, whose members include hundreds of medical-marijuana dispensaries. This episode of Enterprise Radio is working in conjunction with the Legal Corner. California and five other states voted to legalize recreational marijuana, bringing to seven (with a total of 65 million residents) that have done so. More than half of all states now allow some form of medicinal marijuana use and sales. Are we seeing a paradigm shift here in attitudes about marijuana, and what are the implications for national drug policy? What can we expect from the new administration in regards to regulation of marijuana? Has the proposed nominee for Attorney General said anything about possible changes in the current hands-off policy regarding states that have legalized some kind of cannabis use? How do you advise your clients to prepare? There’s talk of a “green gold rush” of companies looking to cash in from the recent wave of legalization efforts across the country. Is there one tip you’d suggest for businesses to keep in mind if they want to join this green gold rush? California’s population comprises about one in eight Americans. How important was it that the nation’s largest state approved Proposition 64 this November, and what sort of signal does its passage send to the rest of the country? How does the measure work? How long will it take to implement fully? How has Los Angeles handled the legal marijuana opportunity compared to other California cities? Have there been any consistent approaches to regulation or is every jurisdiction different? How does that affect the industry and the business opportunities here? Are there other changes in banking laws, zoning laws, other areas that need to be changed to allow the cannabis industry to truly thrive? What’s the status of such changes? Attorney Michael Chernis is one of California’s foremost experts in both federal and state laws affecting the burgeoning legal cannabis industry. Now head of his own firm, Chernis brings deep legal experience as a litigator capable of handling the full range of legal questions facing the nascent industry, from criminal prosecutions to business issues. His client base ranges from legal medical-marijuana collectives; storefront and mobile dispensaries; cultivators, patients and doctors; landlords and others seeking to do business with collectives; as well as individuals and businesses in civil litigation with municipalities over such activities. He also represents individuals and businesses in federal criminal matters and those charged with violating state medical-marijuana laws. His broad criminal and civil experience informs strategies for specific business transactions, including “soft” issues in setting up contracts, navigating the maze of municipal requirements and the best ways to start a business. As the legal marijuana industry and its profitability continue to grow rapidly, so too does the potential for companies and individuals to run afoul of the law or slide out of compliance, sometimes in ways they can’t possibly foresee. Michael began his legal career at Jones Day in New York in 1994, working the giant law firm’s litigation group, focused white-collar defense representation of Fortune 500 clients such as Westinghouse, R.J. Reynolds Tobacco and Experian, as well as broker-dealers facing regulatory matters brought the U.S. Securities and Exchange Commission. 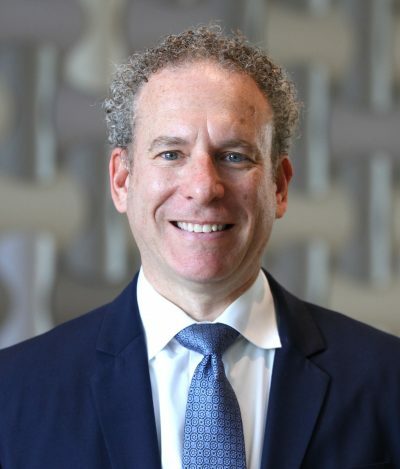 After five years at Jones Day, Michael moved to Schulte Roth & Zabel, a prominent New York firm known for its litigation and hedge-fund practice. There, he defended individuals and large corporations in complex commercial litigation and white-collar criminal cases. He also worked with the firm’s hedge-fund specialists on private-equity transactions, asset sales and leveraged buyouts, as well as related litigation. Among the prominent cases he worked on at Schulte were the 2002 dismissal of a $1 billion lawsuit against Kaydon Corp. and defense of a multi-billion-dollar hedge fund accused of illegal market timing and late trading of mutual funds. His pro bono work included leading a team that sued the Department of Homeland Security and FEMA on behalf of Hurricane Katrina victims who had gone months without receiving recovery benefits, and a lawsuit on behalf of New York prison inmate Darryl Phelps, who sued over health problems from receiving only bread and water during solitary confinement. In 2006, Michael joined Hafetz & Necheles, a premier white-collar criminal-defense firm in New York, where he worked on high-profile cases involving executives from AIG, KPMG and other large institutions. Two years later, Michael moved to Los Angeles to open a West Coast office for Silverman Sclar Shin & Byrne, before opening his own firm, the Chernis Law Group, in 2011 with a specialty in representing the burgeoning cannabis industry. Hist expertise is particularly vital given the confusion created by recent passage in California of Prop. 64 and of the Medical Marijuana Regulation and Safety Act, which also force each city or county to come up with their own regulatory schemes for businesses operating in their borders. To deal with the many regulatory challenges, Michael co-founded and is policy director of the L.A. Cannabis Task Force, whose membership includes hundreds of dispensaries working to update and replace a Los Angeles partial ban on operating licenses. Michael has a J.D. from Fordham University School of Law, where he served on the Fordham Law Review. His bachelor’s degree in political science is from Brandeis University. He is licensed to practice in California, New York and before the U.S. Circuit Courts of Appeal. To relax, Michael is a surfer, hiker and yoga practitioner. The views and opinions expressed on any program are those of the persons appearing on the program and do not necessarily reflect the views and opinions of The Entrepreneur Podcast Network – EPN.